New analysis by funded by Trust for London shows that there has been a 100,000 increase in the number of London jobs paying below the London Living Wage (LLW) – taking the total to 580,000. This means that 1 in 5 Londoners working in the capital are now paid poverty wages. This is despite a new piece of research by Queen Mary, University of London, showing that paying the Living Wage has big benefits for business, workers and the Treasury. In addition companies interviewed said the reputational benefits of paying the LW helped them attract new business and customers. Employers also reported HR benefits at all levels with high caliber graduates at one employer citing paying the living wage as one of the top 3 reasons for applying as it demonstrates corporate social responsibility. This is because introducing the LW leads companies to adjust their ways of working by doing things such as increasing efficiency of working practices. “This piece of research conclusively shows that paying the Living Wage benefits employers, workers and government. "Government can save nearly £1 billion a year in London if companies in the capital pay the Living Wage; workers receive thousands more in wages and employers can reap HR, reputational and efficiency benefits. This means there is no reason for large numbers of companies to pay poverty wages in the capital. 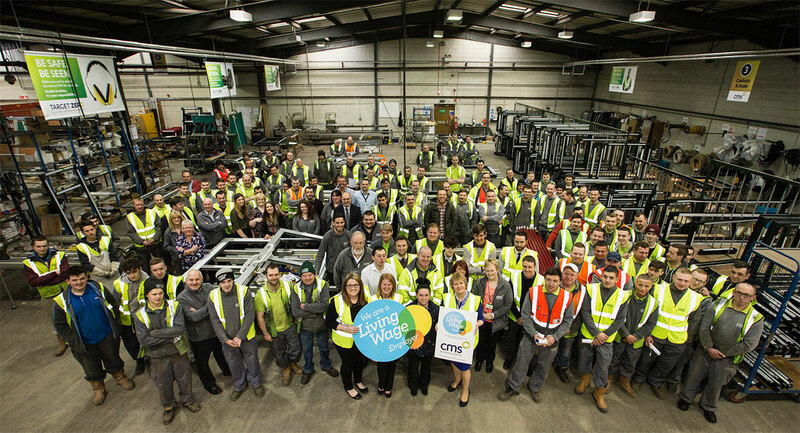 “We decided to become a Living Wage employer because we believed it was morally right; taking the decision was not easy as many of our competitors only offer rates around the National Minimum Wage. “We were fortunate that all of our clients agreed it was the right thing to do and most of them paid the extra cost associated with achieving this.